The second is Heliotrope. Heliotrope is also known as bloodstone. 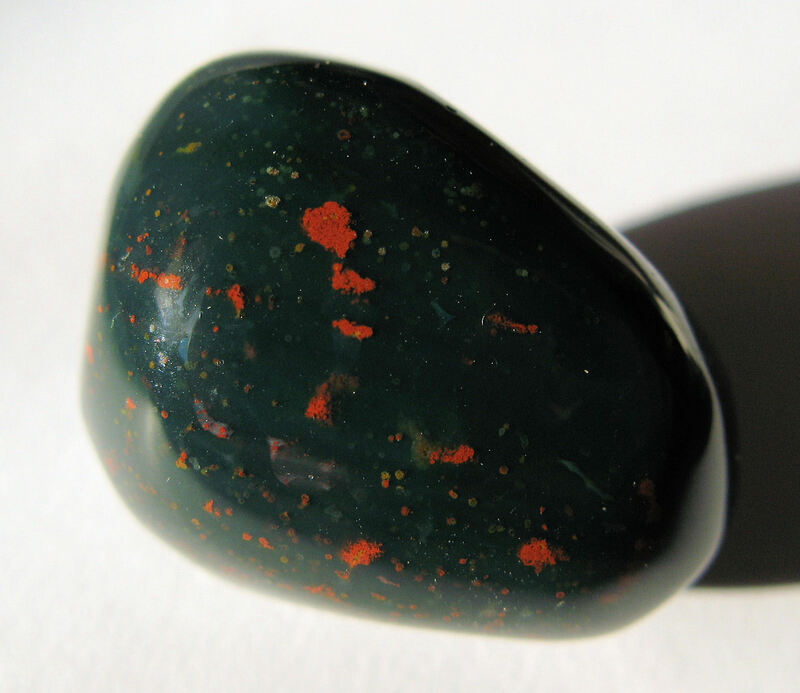 Bloodstone: Said to enhance strength, courage and confidence. For healing, to stop bleeding and help with blood problems. Those born in the month of March have the option of choosing which birthstone they wish to represent them: the aquamarine or the heliotrope. 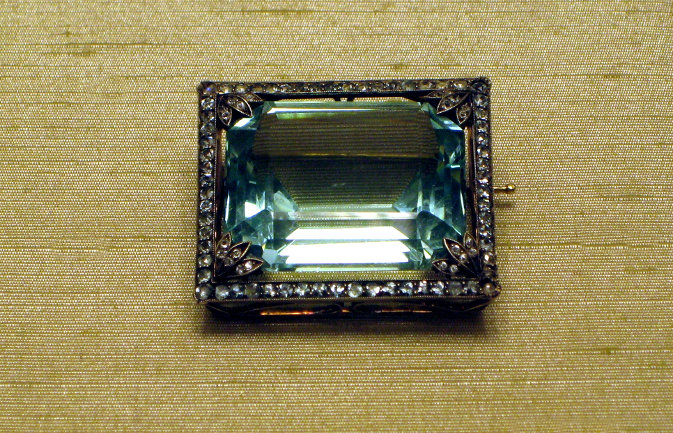 The aquamarine varies in its color scheme from deep blue to bluish green, and is of the same gem family as the emerald. This stone derives its coloring from impurities present when the clear beryl was forming. Heliotrope, which is sometimes known as bloodstone, hails from the chalcedony family, which is a quartz mixture. 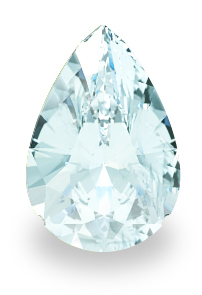 Many desirable traits are associated with the aquamarine. It is said to imbue the wearer of the stone with an incredible sense of loyalty, to strengthen the ties of friendship and is symbolic of beauty and faithfulness. Aquamarines were said to have been a talisman of the great god Neptune himself. Sailors consider this to be a good luck stone for a safe and lucrative journey and to protect them against sea monsters. The ancient Greeks are said to have worn amulets made of the stone with an engraving of Poseidon, for luck. It is also said to be a great healing aid for stomach ailments. The heliotrope is believed to boost your confidence and to attract to the wearer great wealth as well as health. It has always been a symbol of long life and happiness. It signifies health, wealth, stimulation and fertility of the wearer. Some even believe that the stone will change colors if you are in danger, turning a bright red. In the time of the ancient Greeks, it was said that this stone connected the realms of the gods to that of men. Today, the aquamarine is the stone you will usually find in stores as the birthstone for March, but the heliotrope was the original and either can be used as a representation. Aquamarine is a color classification of beryl, and the rarest color of this gem is Bixbite. Bixbite is red in color and is rarely found in a quality that can be used in gems. The only known place to mine this stone is in the city of Beaver, Utah. Aquamarine is likely derived from its light blue color as Latin Aqua Marina means ‘Sea Water’. The word bloodstone refers to the small jasper inclusions which are deep red in color and are supposed to reflect small patches of blood. Heliotrope is greek in origin. It comes from the greek word ‘Helio‘ meaning ‘sun‘ and the word ‘trepein‘ meaning ‘turning’. A Cyclosilicate mineral with formula Be3Al2(SiO3)6. It has a Hexagonal structure and a vitreous to resinous luster. Its hardness is 7.5-8 on Mohs scale, it has a specific gravity of approximately 2.76 and a refractive index of 1.56 – 1.6. A mineral with formula SiO2 (silicon dioxide). It has a trigonal crystal structure and vitreous luster. Its hardness is 6.5 – 7 on Mohs scale, it has a specific gravity of 2.6 and a refractive index of 1.53 – 1.54. Aquamarines are unusual in that they can be heat treated to vary the color. Light green beryl stones can be transformed into deep blue aquamarines by this process, thus increasing their value. Bloodstone, or heliotrope is not usually synthesized the way that a normal gemstone would be, however it has been known to be copied using wood or even bone.